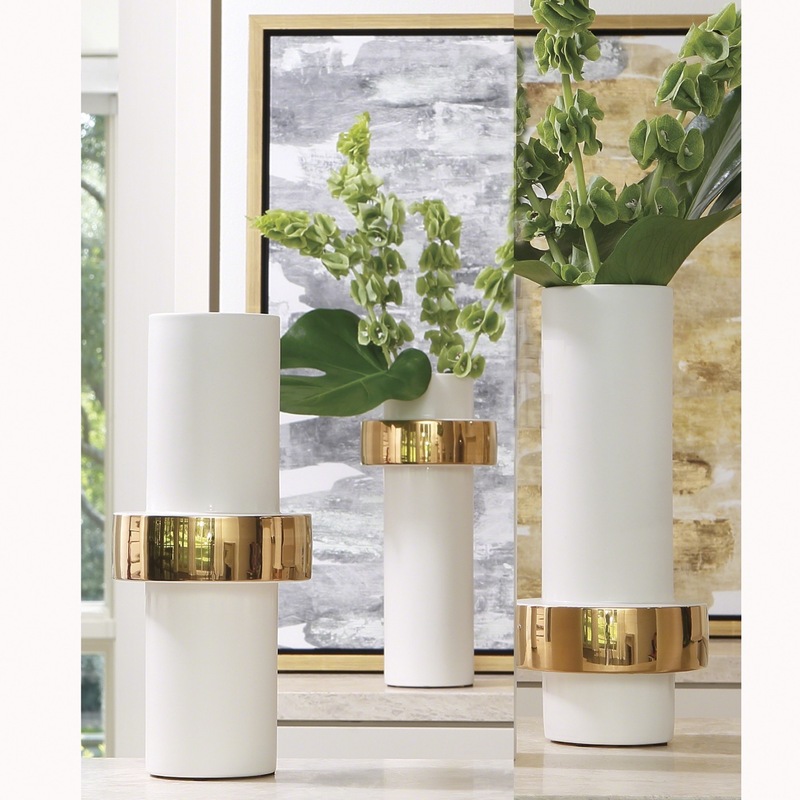 Simple meets luxe with these cylindrical vases. 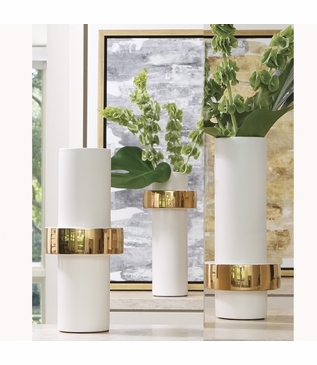 Beautiful creamy white Portuguese ceramic gets a glam makeover with strategically placed metallic gold electroplated ring collars. Quite remarkable alone, but even better in a group! The "rings" are placed at different levels so they may fit perfectly together, creating a stunning display. Available in mid, high, or low. Size: H: 13.5" • Dia: 5.75"